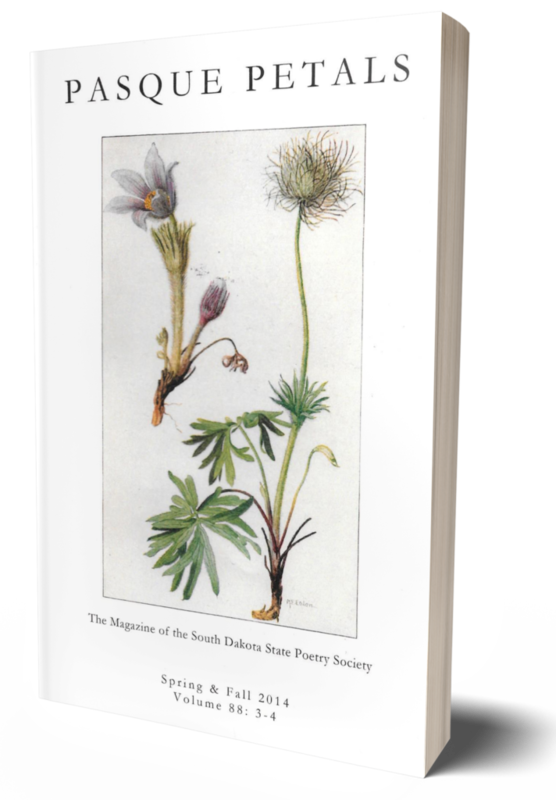 The South Dakota State Poetry Society (SDSPS) seeks poems for its Spring 2017 issue of Pasque Petals. Membership in SDSPS for one calendar year is $35 and includes free submission to Pasque Petals, copies of all SDSPS publications for that year (Pasque Petals and chapbook contest winner), and discounts on entry fees for the annual contest and the chapbook contest. We will no longer mail out complimentary contributor’s copies of Pasque Petals unless you are a member; copies can be purchased for $10.